Hill Country Conservancy is gearing up for National Trails Day on June 3 with four official HCC hosted events to celebrate the Violet Crown Trail! We have a mix of volunteer events and just plain celebratory events so there’s something for everyone! We’ve also included two events hosted by our friends the Texas Climbers Coalition and Hike it Baby that are also taking place on the VCT. The Central Texas Trail Tamer will host an introductory sampler class, developed by the Pacific Crest Trail Association and U.S. Forest Service Trails Specialist John Schubert) that is for people new to trail work who want an overview. The class-room portion of the class will be held at the Sunset Valley City Hall 3205 Jones Rd, Austin, TX 78745 and will be followed up by a hike down the Gaines Creek section of the Violet Crown Trail. This is an educational opportunity for folks to learn about the VCT, Gaines Creek, and the history and the surrounding environment that makes it unique. There will not be any volunteer work done on the trail – just a walking tour with discussion along the way. In honor of National Trails Day on June 3, help EPIC (Emerging Professionals In Conservation) clean up the Violet Crown Trail in some of the spots where folks leave behind their trash – this is a great opportunity to get involved on the VCT. We will spend 1.5-2 hours cleaning up and enjoying a hike. This National Trails Day, the VCT Pop Up Park will be popping up at Shady Grove for the afternoon! Come check out the park while enjoying some great food and drinks, celebrating National Trails Day with us, and learning about the Violet Crown Trail! The following events are being hosted by third-party organizations and are not affiliated with Hill Country Conservancy. For National Trails Day, we would like to host a group of volunteers to maintain our main trail with some repair and a litter clean up. Hosted by Texas Climbers Coalition. In 2016, the Texas Climbers Coalition (TCC) became a 501(c)3 nonprofit that advocates for access and helps maintain climbing areas in Texas. Through the legacy of Central Texas Mountaineers (CTM), TCC was formed to encompass all of Texas and is now an affiliate of the Access Fund, a national advocacy organization. Celebrate National Trails Day by joining us for a hike at the Violet Crown Trail! We will plan to split into adult-paced and child-paced groups. This trail has a couple of steeper sections and some switchbacks, but it’s nice and mostly shaded. The trail is NOT stroller friendly, so please bring a carrier for babies/toddlers. 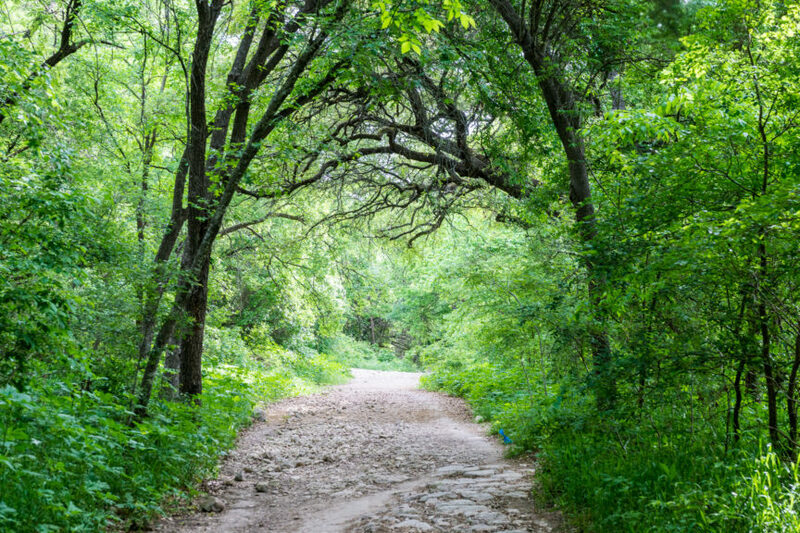 For National Trails Day opportunities that aren’t located on the Violet Crown Trail, please visit the Austin Parks Foundation website.